We rejoice together in Christ's birth, death, and resurrection. 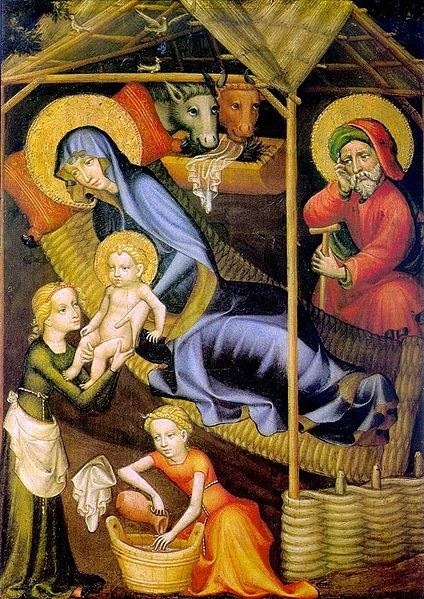 Image: "The Nativity" by an unidentified Austrian painter from the 1400's. I like this image because it is probably more historically accurate than many. Joseph and Mary would not have been the only people crammed into that stable (stable lodgings were common for the poor), and no doubt other women were present to help Mary give birth. It seems an appropriate Christmas picture for a blog like this.